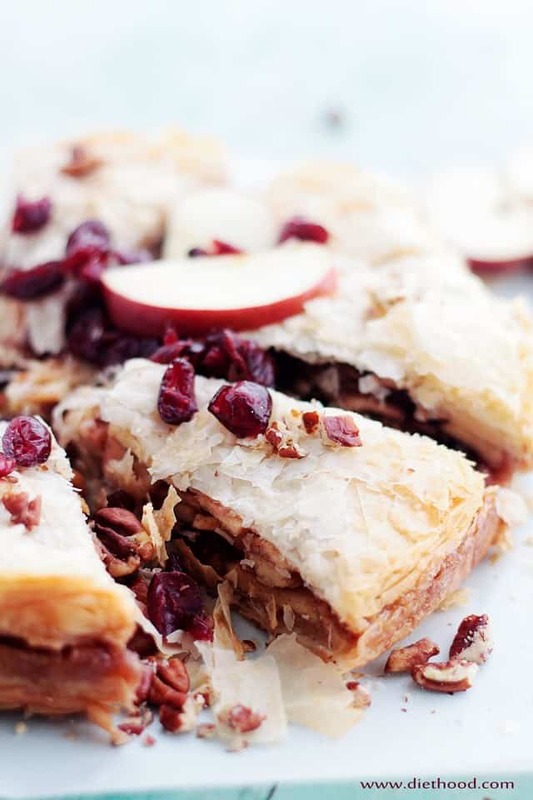 This beautiful Apple Strudel Cake is a fun take on the classic Apple Strudel dessert, filled with a deliciously spiced apple cranberry filling. So! You know how you feel 21 until you’re in a room with a bunch of 21-year olds, and you now know you’re definitely not 21?! Also? My head and my neck hurt like hell the following day because I had 2 Tequila shots. 2! At 23-years old I was able to down 10 and walk away, sober. Now?! Um. Not so much. I’ll just stick to my White Sangria – hasn’t resulted in a hangover, yet. You know what else doesn’t result in a hangover?! CAKE! This cake recipe took some contemplation on my part. I know it doesn’t fall into the typical birthday-cake category, but I’m also not your typical girl, either. Thus, in true Katerina fashion, this, actually, is my kinda cake! Don’t get me wrong. I do love me some beautiful, frosted, layered cakes, but I can really appreciate something a tad bit different. Like last year’s French Silk Tart. LOVE that stuff! 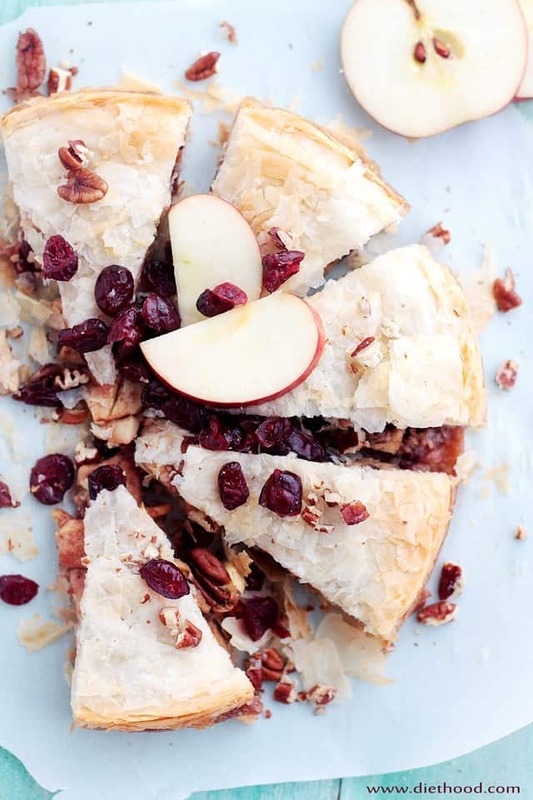 This Apple Strudel Cake also spells out comfort. 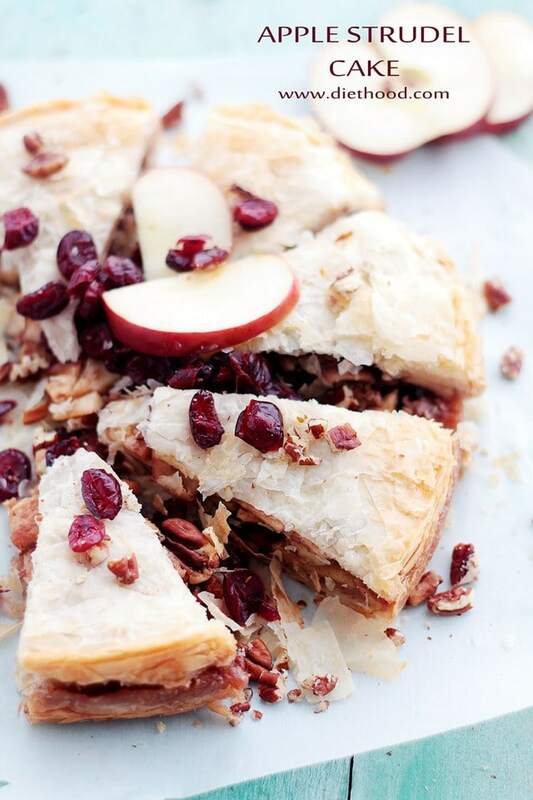 Apples, cranberries, and cinnamon nestled in between layers of crispy, flaky, sweet phyllo sheets … ah, be still my heart. It’s so good that when one slice decided to slip off and fall on the floor, I picked it up and swallowed it whole! Like, in one bite. And no 10-second rule. Other than that, it’s pretty much AMAZING. In fact, it’s CAPS-LOCK-WORTHY-AMAZING! Now, I’m off to enjoy the rest of my birthDAY! Butter an 8-inch springform pan on the bottom and up the sides; set aside. Combine apple juice and craisins in a small bowl; set aside. In a large mixing bowl combine apples, lemon juice, lemon zest, ground cinnamon, brown sugar, chopped pecans, and butter. Stir in apple juice and craisins. Place a phyllo sheet in the bottom of the prepared cake pan. Brush with melted butter, folding in the sides of the phyllo sheet so to fit the pan. Do not fold the sides before brushing the sheet with butter because, if dry, it will break. Top with nine more sheets, brushing each sheet with melted butter before adding the next. As you work, keep the unused stack of phyllo sheets covered so they don't dry up. Spread the apple mixture over the phyllo sheets. Top with remaining 10 phyllo sheets, tucking in each sheet around the apple mixture. Brush each sheet with melted butter, including the top sheet. Sprinkle top phyllo sheet with raw sugar. Bake for 32 to 35 minutes, or until golden brown. Let cool before removing ring from cake pan. 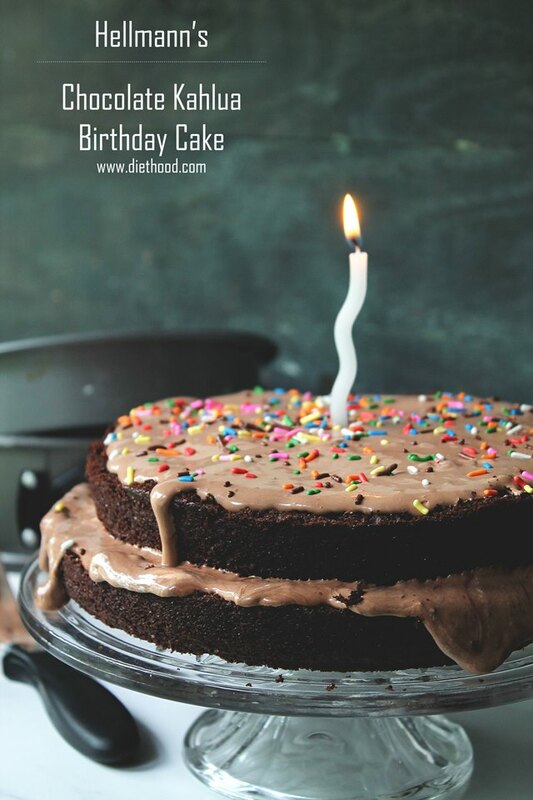 WANT MORE CAKE RECIPES? SEE BELOW! This looks delicious! I love any apple dessert. Happy belated birthday! I just turned 24 and I already feel like I’m forgetting things and I can’t drink much of anything without feeling like I’ve been hit by a truck. Happy birthday, gorgeous! 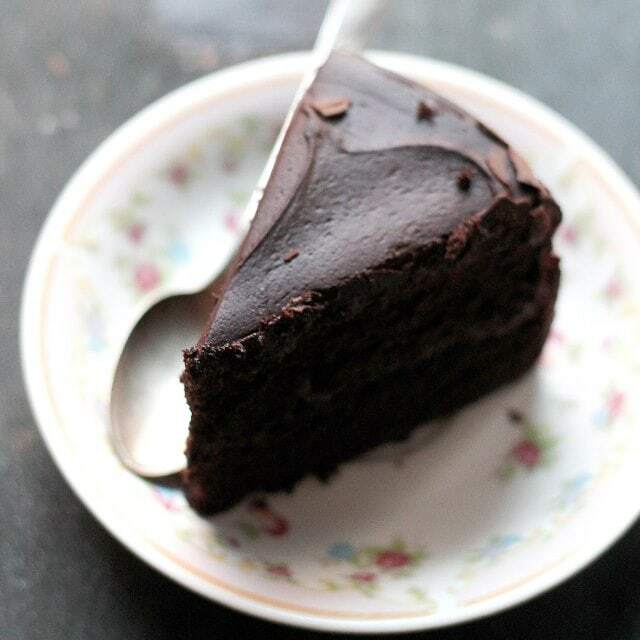 As for this cake, I am in love – the cran-apple filling is divine! Happy Birthday! I can’t tell you how many decades it’s been since I’ve had a shot of tequila–so I admire your youthful exuberance 😉 ! Love this recipe! And Happy Birthday! HAPPY BIRTHDAY BEAUTIFUL!!!! Don’t you love being a food blogger so that you can make yourself whatever giant, over the top cake you feel like? All in a day’s work 🙂 Seriously, this is goregous. I want to face plant into those flakey layers! 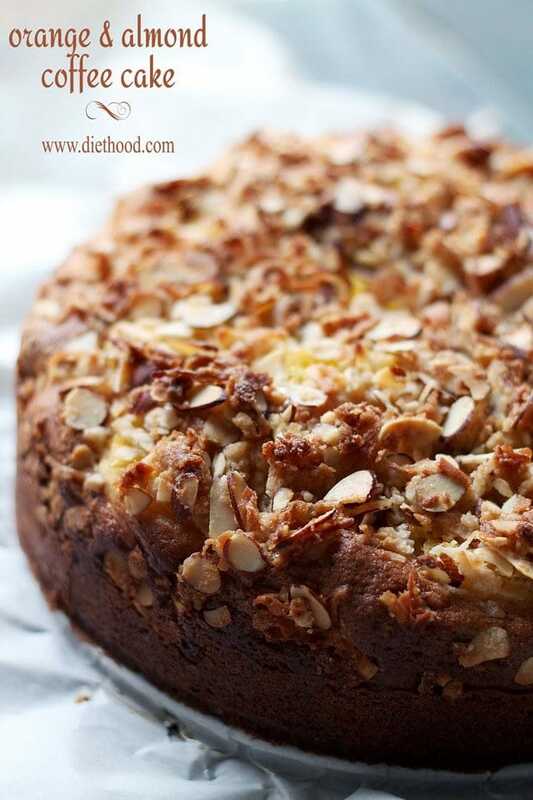 Love this gorge apple strudel cake!! This cake is like the cake of my dreams. Wow it looks so flaky and gorgeous! You are killing me Katerina!! Your fun take on strudel is certainly wonderful and looks so inviting. Very creative indeed. Happy Birthday! This reminds me of apple turnovers but better! Happy Birthday, gorgeous! I’m so glad you celebrated with tequila. Isn’t it crazy how our tolerance decreases? Embarrassingly, I used to be able to drink a bottle of wine by myself throughout an evening. Now? Two glasses and I’m TOAST and hating myself the next day. I guess this is part of wising up? Happy Birthday!!!!!! Loving this cake! I love apple strudel and making it into a cake – geeeeeeniusssss!!!! Can I get a slice of that cake, please? 😀 looks so yummy! Happy 36th! I totally understand about the feeling younger than you are. The non-traditional birthday cake looks amazing. 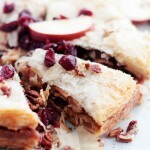 Lovely take on combining an apple strudel with a baklava.